Are you ready to Team Up with Jerónimo Martins? 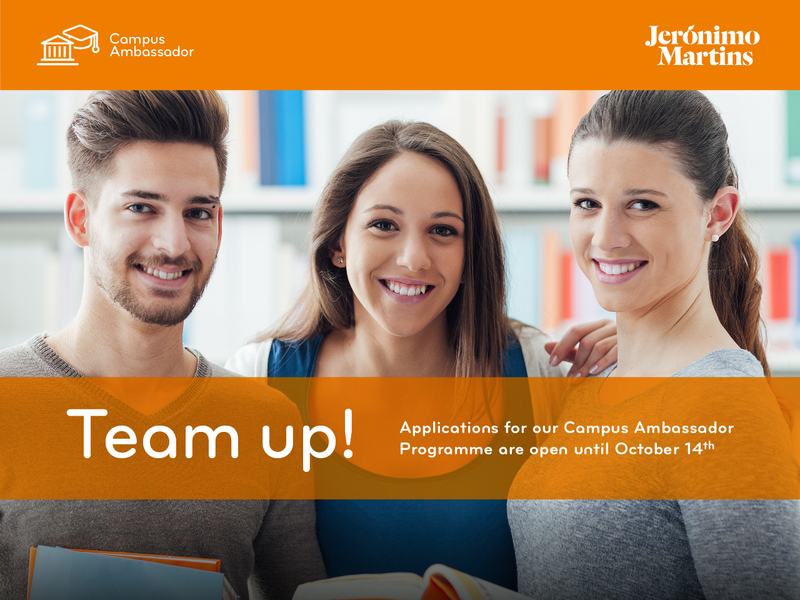 Applications are now open for Jerónimo Martins Campus Ambassador Programme 2018/2019! This cutting-edge initiative is a joint-venture between Jerónimo Martins and students from several universities. Students help us get around campus and we help them back by empowering their future. Getting visibility and increasing recognition within your university. Applications are open until October 14th!